It is a smart and simple design platform that adapts to workflows of the users. It is a cloud-based application that delivers hassle-free uploading and downloading of files and also allows remote access to files. It has an intuitive interface with design tools that provide easy functionality to collaborate. It will enable multiple users to work in a single context to improve the designs. The ready to use stencils are handy for developing efficient use cases. Besides, it has an inbuilt library that holds thousands of icons which can be used in your designs. The simple drag and drop function allows you to import images from desktops and mobile applications quickly. How much does Moqups cost ? 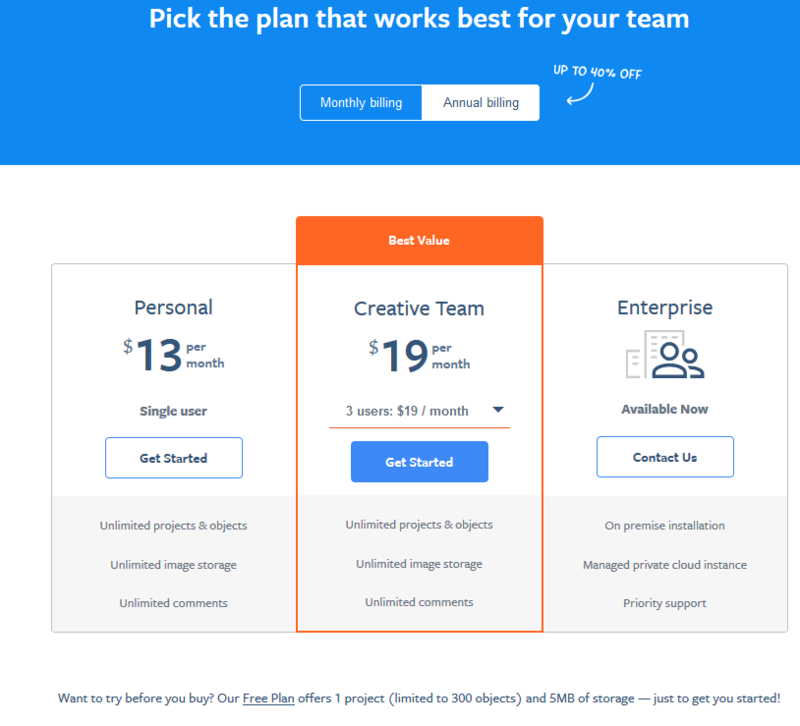 The pricing for Moqups starts at $13.0 per month. Moqups has 2 different plans such as - Personal at $13.0 per month and Creative team at $19.0 per month. Moqups offers a Free Plan with limited features. They also offer an Enterprise Plan for their product. Disclaimer: The pricing details were last updated on 09/05/2018 from the vendor website and may be different from actual. Please confirm with the vendor website before purchasing. 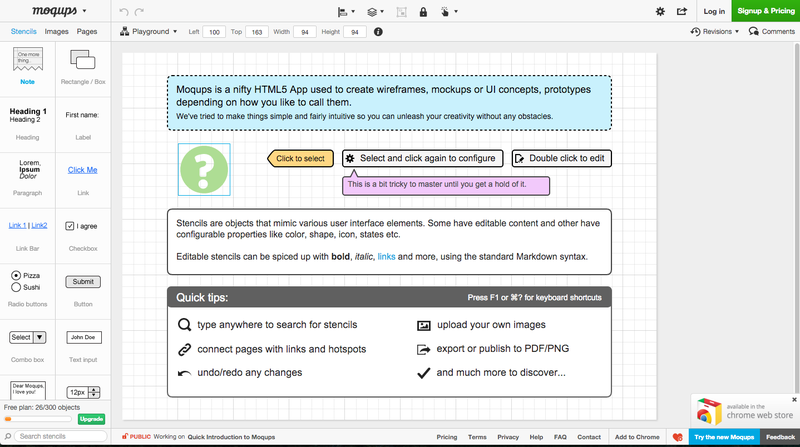 "A simple and practical way to have an online tool to draw diagrams and diagrams." I like having a tool that allows me to make models of interfaces (in my case), org charts, draw relational models and other things I need and do not have a Microsoft Visio to do it, for example. I have nothing to complain about the product, since when I use it. 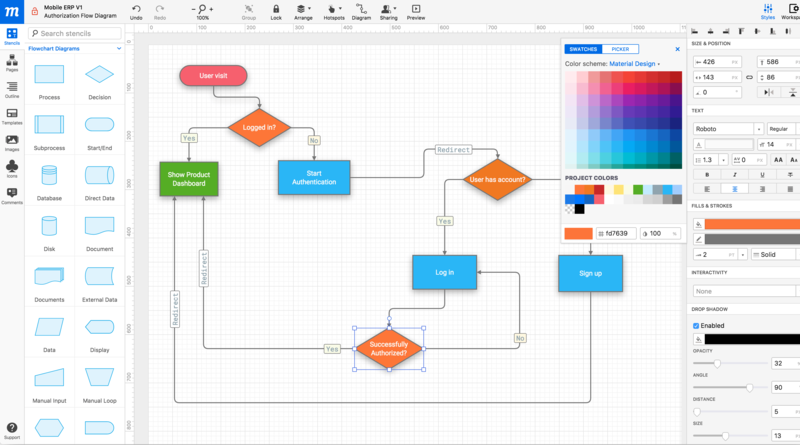 Whether you're looking for something simple, easy, and at the same time competent to make diagrams, models, and other graphic layouts, use moquers. In the lessons of a course in my Information Systems course, I need to make models of systems interfaces to present to our teacher and with moqus, I do it quickly, simply and online. 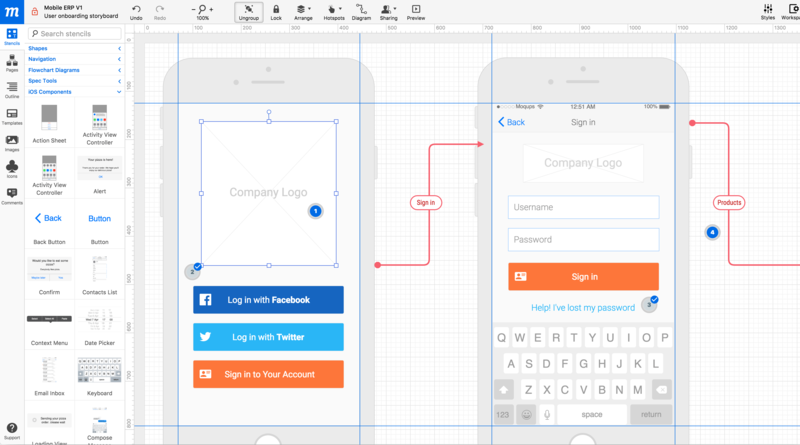 The ability to quickly build out low fidelity prototypes and the low learning curve. There is nothing I dislike about this product. It serves it's purpose. 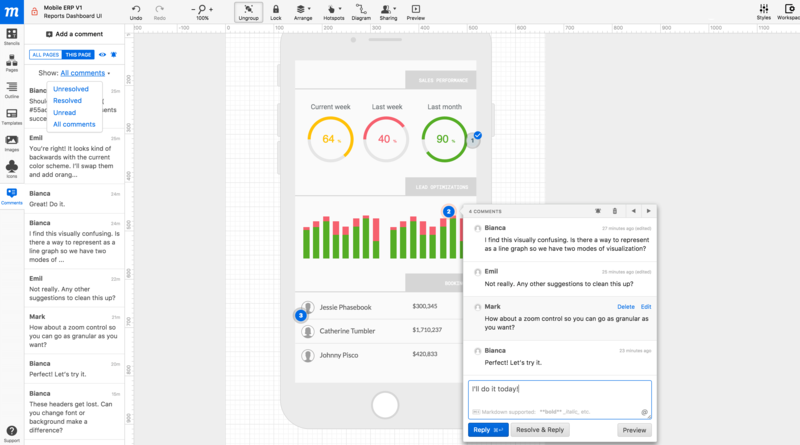 Creating low fidelity prototypes for the product management team. It is easy to use, it has many tools and for a developer or designer it is a great tool. It allows you to make models quickly in an agile and simple way. In the company we are starting to use Moqups to capture an idea and it is very simple to perform this task it saves us a lot of time, you can format the design changing the font of the text, the colors, etc. Three times the page was hung for no reason, I guess it was because the design had many elements. I would like to be able to use ofline so that the client can see it wherever he wants and edit what he sees fit and then how he will be at the end. I like the user friendly design and the easy to use interface. I don't like that it does not have as many options and flexibility as Sketch. I would tell people to get to know Sketch first, and then if you need another application that's fairly cheap, use Moqups. I am sketching out the beginning stages of my projects with Moqups. It saves me a lot of time! I like everything about this! It’s amazing! Nothing! This has made my job so much easier! "Best software out there "
I dont dislike anything really. Maybe add more features. 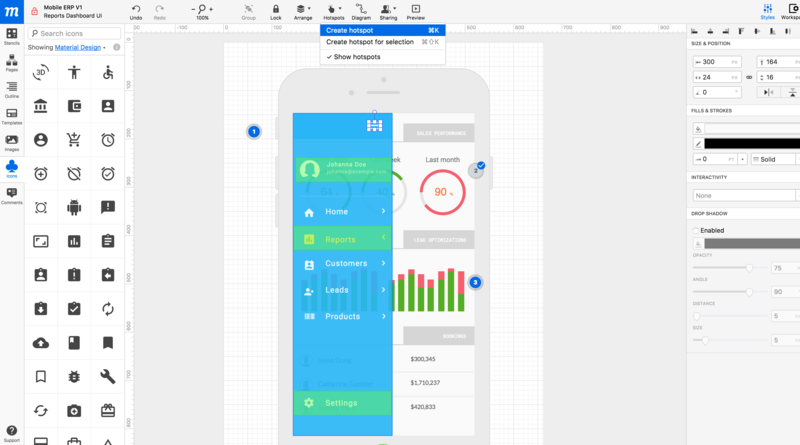 ""Moqups is the Mockups application your group needs!"" I've been hopping between various work groups and organizations these most recent couple of years and I felt a distinction in profitability everytime we utilized Moqups. The sharing of ventures, through itterations is great taken care of accross different clients. I am happy with the measure of highlights accessible, sensible at it's cost, a stone strong ordeal generally speaking exceptionally recommanded for any undertaking scale.One of the most essential thing while in the beginning period is the stream outline. With Moqups, I can do stream graph and wireframe, sitemap across the board venture which is amazing for overseeing. Stacking is a bit time costing likewise the sharing and erases page client stream is somewhat bizarre to get it. I regularly inadvertently erase a page by the deceptive UI. likewise the layout segments ought to be overseen in one source similarly as sketch images. Presently if something changed after I made a format segment, I'll need to include new and erase the past one and go to each page to join which is truly not making parts. In the event that you are a group of originators and item chiefs who need to construct incredible items rapidly, this is an extraordinary tool.Good for little and medium tasks with abnormal state of client inclusion. I saw that highlights move up and speed of bug fixes backed off recently however the item is still great. I wireframe all items, highlights, and improvements in Moqups for partners and customers to effectively process and on account of the capacity for me to examine and make alters live with different associates who are remote.Create and offer item mock-ups. Inspire all partners to adjust on what highlights to construct and how and test them with the clients. absolutely nothing. I don’t think of any. Definitely the best in the market. What I like most about this tool is that it allows us to show our clients about the web site. This allows them to have a more realistic idea of what your project will look like before you start it. I really like that it is easy to use, so anyone can learn fast and rely on all the options provided by the tool. Project managers I work with that are NOT designers can easily use it to convey their ideas easily to me. I like you can collaborate with a team while using this. It was very helpful when redesigning our website. It was a little difficult to figure out how to use at first. Used it when we redesigned websige.